Firefox 4.0 announced release date: November 2010. Actual release date: March 22, 2011. This huge delay allowed heavy hitters Google Chrome and Microsoft Internet Explorer to get their foot in the door ahead of time. What could have caused a four-month delay in its release, and was it worth the wait? Let’s take a look. I’ve tested Firefox 4 since the early beta versions, and had a sinking feeling with every install. Functionality, rendering, and stability were terrible. Around 5 beta versions in, they added graphics acceleration (the big buzz word with browsers these days), and it pretty much made Firefox unusable. I put in a few bug reports from a convenient “what were you doing when the browser crashed” window, uninstalled, and didn’t look back. Because of this user base, Firefox has to maintain high standards. Also this user base tends to find a lot of bugs: techie people tend to use ALL of the features. This means, to paraphrase Orson Wells, “Firefox will release no browser before it’s time.” The Firefox developers spent that extra four months cleaning up bugs and fixing features to give a bug-free release. This compares to Microsoft’s “Release it and we’ll fix it later” philosophy, and Google’s “Release it, we’ll slip in fixes without the user knowing, and everyone will be happy” philosophy. The first thing that popped out for me was the user interface. While IE and Chrome went the “all in one address/search bar” approach, Firefox maintains a separate address bar and search bar. This, again, is probably catering to the techie crowd that likes to use multiple search engines. This type of setup makes search plug-ins easier to manage. The menu buttons have also been removed, being slapped inside of a nice, bright “Firefox” button in the upper left corner of the screen. This button serves a similar function as the Windows Start button- anything you need to adjust is under the Firefox button. Much like IE9, Firefox 4 allows you to turn websites into “pinned applications”. If you right-click on a tab, you can select “Pin as App tab” and have instant access to the website with its own customized icon. It’s not nearly as slick as IE9’s implementation, but it is still useful. Tab grouping was added, allowing you to organize your tabs into manageable groups to keep things organized. It’s a feature than looked nice when it was first presented, but I found myself not using it much for some reason. It turned out to be more of a “look what I can do” feature than something actually usable. It takes too much time to set up to be worth the trouble. GPU acceleration helps sites with video and moving graphics to load quickly and smoothly. The initial problems with its implementation early on appear to be resolved, and things are downright snappy now. You’ll notice this most on sites like YouTube when playing HD video. Other minor features include touch support (getting Firefox ready for the upcoming tablet revolution), and a very useful “tab specific” download indicator. This download indicator change allows you to keep track of file downloads on each page- something very handy for those of us that download a lot of files. Microsoft made a bold decision to cut Windows XP out of it’s IE9 upgrade path. Windows XP is still used by millions of people, and they’re effectively saying “Keep using XP if you want guys, but we’re moving on…”. On the other hand, Firefox is taking the “Give me your tired, your poor, your huddled masses…” route, and in the end this could actually increase its market share. Not only will Firefox 4 support Windows XP, it will also work on Windows 2000. GPU acceleration functionality is reduced on both operating systems, but my guess is you’re not too concerned about that if you’re still running something like Windows 2000. As long as users have an upgrade path, they’ll take it, and Firefox 4’s compatibility may make these ancient operating systems viable for a few more years. Firefox 4’s speed is a big improvement over 3.6. It’s a great time to be using the web because we have three corporations trying outdo each other and flex their coding skills. It’s a lot like the Big 3 automakers in the late 60’s trying to outdo each other with muscle cars. Any way you look at it, we benefit from the competition. 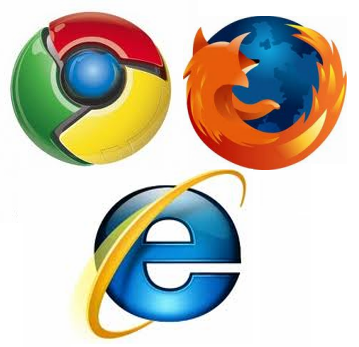 This shows that Chrome 10 is 17% more likely to display a modern website correctly than Firefox 4, while Firefox 4 is 46% more likely to display a modern website correctly than Internet Explorer 9. Firefox 4 is a nice browser, but it’s only going to appeal to a few sets of users: the “I’ve used Firefox for years” crowd, the “my techie friend told me to use Firefox because it doesn’t get viruses” crowd, and the “My computer is 9 years old and I can’t run anything else” crowd. It’s this last crowd that will receive the most benefit, as it will allow them to use a web browser with modern features on an old machine. Firefox’s lack of central administration, plus it’s “anyone is allowed in the pool” add-ons policy makes IT departments shun the browser for business, so I don’t expect much corporate integration. The interface changes are just “OK”, nothing really to rave about. Some changes are useful, some no-so-much. It’s hard to recommend this browser when there are better products out there. Chrome 10 performance pretty much mopped the floor with Firefox 4. It does run faster than IE9, but IE9 also has a more modern interface, it’s “Pinned Applications” feature works better, and it’s Windows integration comes in very handy. In the end, Firefox 4 seems a bit half-hearted. The user community is very passionate about Firefox, and I have a feeling they were giving the message of “We want change but don’t change anything!”, which restrained the Firefox developers from doing more than they could have. I can recommend Chrome 10 as the best overall browser. I can recommend IE9 as manageable and business compatible. However, Firefox 4 only receives a “Get it if you have an old computer” recommendation. 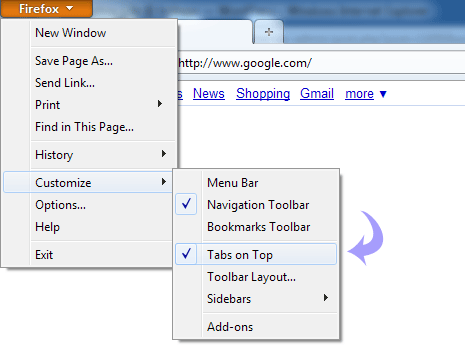 Firefox 4.0 will be available after 3/22/2011 from the TOAST.net Software Page. Yeah, not a fan of the new version. I’m a Chrome convert myself. Firefox used to be a good alternative to Internet Explorer, but I think the people that make it lost focus. Previous Previous post: Internet Explorer 9 – Unleashed!